There’s nothing quite like a good scare. As it happens, you’re filled with a surge of adrenaline, and in the aftermath, you’re soothed by feelings of relief. Many people are addicted to the rush that fear brings, and some experts have even argued that being frightened is good for your health. If you’re a thrill-seeker who loves video games, you should find all the scares you need and more at GOG.com. It’s packed full of classic horror games, and many of them are available for less than six bucks a pop. Below are five examples. Many horror aficionados think the haunted house setting is overused. You can only deal with so many wailing ghosts or secret passageways before the whole thing starts to feel old hat. But even though Realms of the Haunting starts with the standard trip to a spooky old mansion, there’s nothing about its story that feels cliche. See, the house in Realms of the Haunting isn’t haunted in the traditional sense. The house sits on top of a pathway to all realms of existence, making the setting for a major battle between good and evil. Over the course of the story, you’ll fight demons, explore all kinds of bizarre universes, and enjoy the game’s rich and complex lore. Horror titles are often short and sweet, but Realms of the Haunting offers over 40 hours of story-rich content. With a measly $5.99 price tag, it’s hard to pass up a game like this. After a tumultuous night spent arguing with his wife, Joe Davis wakes up in a hotel room, alone. When he stops by the receptionist’s desk, he learns that his wife was taken by a mysterious woman named Sophie. This kicks off the search that drives the story of Downfall, but Joe’s quest to find his missing wife is far more terrifying than one might imagine. See, the hotel — which is inappropriately named “Quiet Haven” — is constantly changing, morphing from a cozy inn to a dilapidated shack to a bloody mess. The mysterious Sophie keeps changing too, appearing as a whimpering child, a sympathetic woman, and even monstrous creatures. 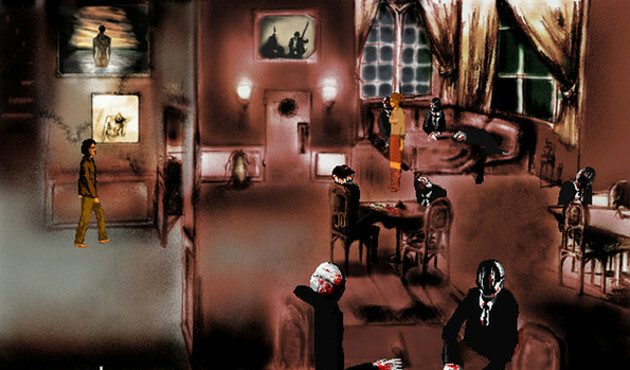 Quiet Haven is strewn with bodies, but its living residents are often far more frightening. In order to solve its mysteries, you’ll have to deal with a wide array of horrors. Calling Downfall a “classic” game is a bit of a stretch — it was released in 2009 — but it definitely captures that retro point-and-click feeling. If you love psychological horror and have the stomach for pixelated gore, you’ll definitely want to give this title a try. Like many Clive Barker stories, Undying begins with a group on unsuspecting people performing a strange ritual. Unsurprisingly, the ritual doesn’t go well, and all but one of the participants are claimed by madness, then death. The lone survivor sends an urgent letter to occult expert Patrick Galloway, asking him to bring the curse to an end before it’s too late. Although Undying uses FPS mechanics, it feels very different from your average shoot-em-up. Players are able to wield a variety of spells, many of which can be used in strategic ways. If you’d prefer to use force, the game provides a varied arsenal that includes shotguns, revolvers, and guns that shoot spears. Just be warned that many of your enemies are supernatural, which means it’ll take more than bullets to show them down. If you’re looking for a creepy atmosphere and action-heavy gameplay, you should take a good long look at Clive Barker’s Undying. You’ll probably like what you see. 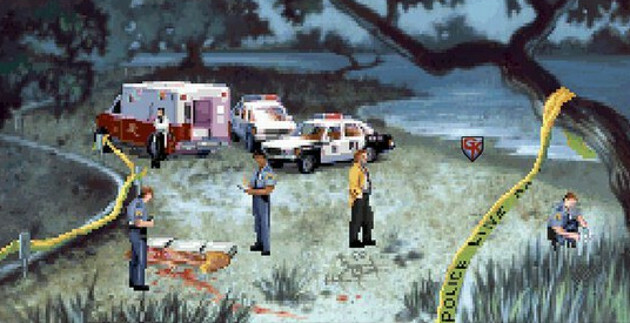 If you paid attention to adventure games in the 90s, you’re probably familiar with the name Gabriel Knight. The beloved series (which was developed by Sierra) is known for its tough puzzles, intriguing mysteries, and its womanizing hero. Although all the titles in the series received praise, none are as charming — or spooky — as the first title, Sins of the Fathers. Gabriel Knight, a Cajun horror novelist who is inexplicably voiced by Tim Curry, is down on his luck. His books are struggling, his wallet is empty and he being plagued by horrific nightmares. He starts following a series of mysterious, voodoo-inspired murders, hoping that the investigation will provide him with material for a new novel. However, as Knight is drawn deeper into the investigation, he learns that these slayings are even more sinister than they appear to be. 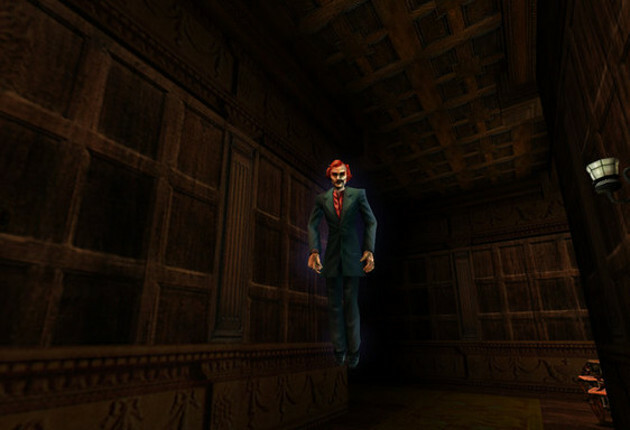 The Gabriel Knight series is a little on the cheesy side, but Sins of the Fathers still has plenty of legitimate scares. If you’re up for solving mysteries and don’t mind Curry’s southern drawl, this charming little title should be right up your alley. Many horror tales begin with something unthinkable, like a gruesome accident or ghastly murder. Waxworks starts with something far more sinister — the theft of a chicken. That bit of thievery leads to a curse, and that curse sets the stage for a spooky story that spans generations. 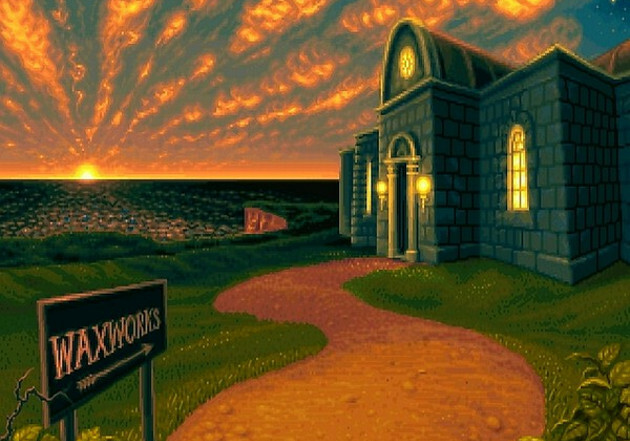 Although Waxworks features classic point-and-click adventure gameplay, the game has the look of a first-person dungeon crawler. Players must traverse through locations such as ancient Egypt, medieval Transylvania, and Victorian England as they solve puzzles, fight off enemies, and work to end the curse once and for all. 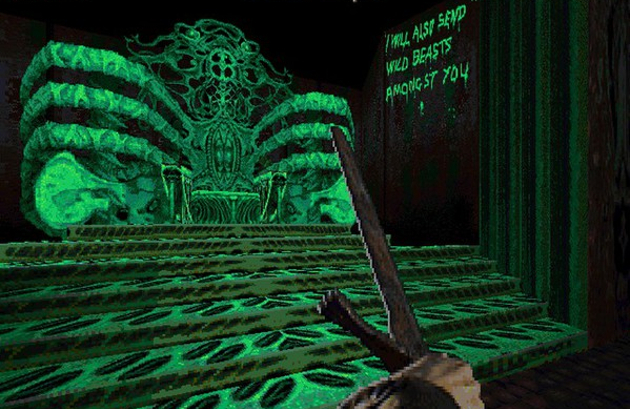 Waxworks isn’t perfect — the combat can be clunky, and there are some frustrating design choices — but the game has no shortage of creepy charms. The unusual blend of investigating, puzzle-solving, and monster fighting really makes the game feel fresh, and some of its death scenes need to be seen to be believed. If you don’t mind looking at old-school gore, this title is definitely worth a look.